GoodLife will celebrate its fifth anniversary with a festive evening of food and wine, entertainment and a silent auction on June 14. The evening will recognize donors, participants and instructors. GoodLife evolved from the closing of the Centennial Home for the Aged, what is now the Centennial Hotel, in the 1990s, said Holly Hale, GoodLife executive director. The Centennial Senior Center was formed with a financial gift from the home’s residents. Five years ago, the Centennial Senior Center changed its name to GoodLife and moved to the Smokestack Center. 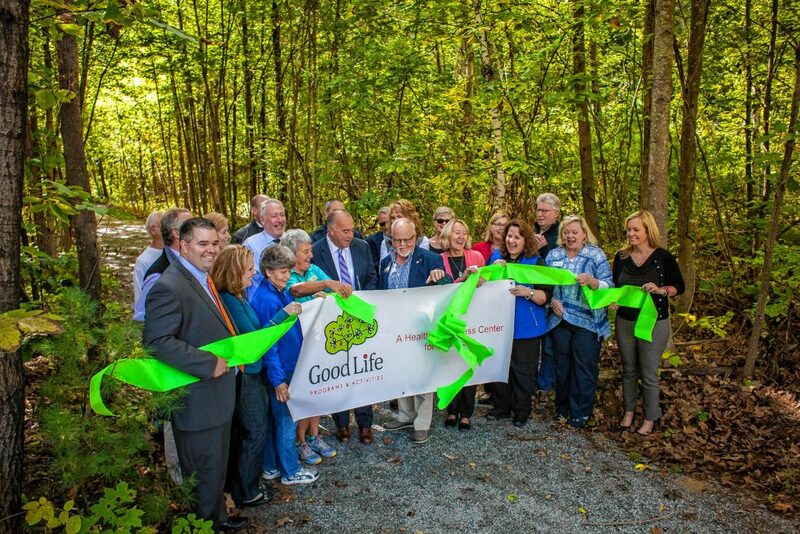 The intent of GoodLife is to serve as a hub for New Hampshire residents age 50 and older, Hale said. Since the new beginning of the program, Hale said GoodLife has expanded staff and program offerings. It hosts trips, exercise programs, socials, fundraisers and partners with other nonprofits. And what about the next five years? To celebrate all that, there will be free samples from Live Juice, appetizers from Granite Restaurant & Bar, a wine bar, a 50/50 raffle, entertainment by Lana Kangas, photo booth with Christian Owusu, games and a silent auction. The silent auction includes fine art, gift baskets, restaurant gift certificates, sports packages and other items. Money raised from the evening will go to support GoodLife’s free classes, Hale said, such as the two stretch and strengthen classes and two seated yoga classes it offers each week that serve about 100 people. The celebration will be held from 5:30 to 7 p.m. at GoodLife Programs & Activities, located in the Smokestack Center complex on North State Street in Concord. Tickets are $35 per person and include two drink tickets; to reserve, call 228-6630 or register online.